Exploratory Data Analysis (EDA is the process of looking through data to get a basic idea of its structure and attributes, often with visualizations. It is a valuable tool for security analysts looking for any network traffic anomalies—particularly in dealing with changing attackers and shifting networks—that sometimes reveals patterns beyond those detectible through statistical analysis. In this webcast, we'll discuss how to apply the art of exploratory data analysis to security questions. Michael Collins is the chief scientist for RedJack, LLC., a Network Security and Data Analysis company located in the Washington D.C. area. 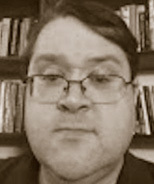 Prior to his work at RedJack, Dr. Collins was a member of the technical staff at the CERT/Network Situational Awareness group at Carnegie Mellon University. His primary focus is on network instrumentation and traffic analysis, in particular on the analysis of large traffic datasets. Dr. Collins graduated with a PhD in Electrical Engineering from Carnegie Mellon University in 2008, he holds Master's and Bachelor's Degrees from the same institution.